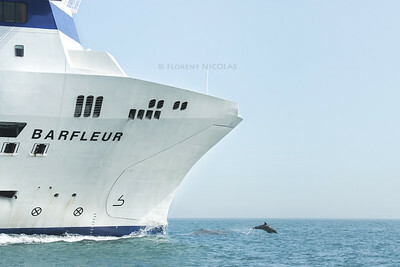 The MV Barfleur, a long-known ferry in Normandy is coming back To Normandy with a bottlenose dolphin at its bow. 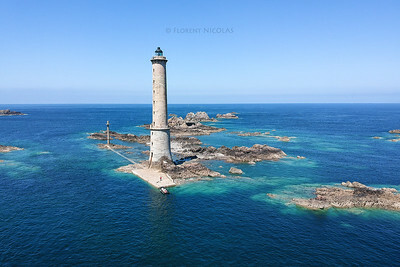 For few hours, the water in the normano-breton gulf is perfectly flat and is offering good conditions to capture this kind of memories. 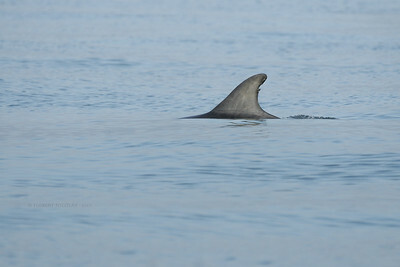 Here a bottlenose dolphun (Tursiops truncatus) is breaking the perfectly flat water surface. 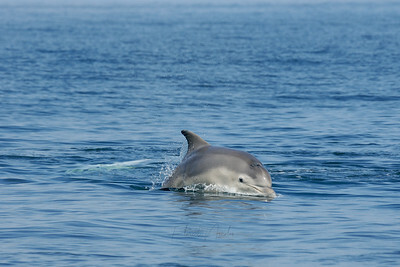 This adult belongs to the large coastal population living in the normano-breton gulf. About 600 dolphins are known to live in this area. 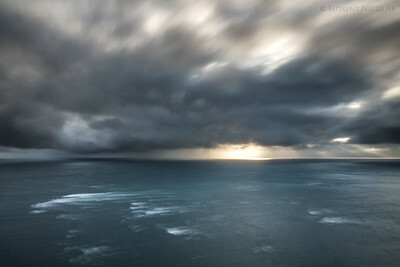 End of the land in Normandy, the Raz Blanchard. 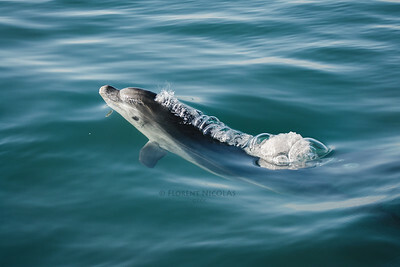 Knowledge about bottlenose dolphins in the Channel Sea have been increasing during the last years, specially for the population living in the normano-breton gulf. This knowledge is needed to finally implement concrete measures to protect this unique population. Gannets are wonderful birds: when they are at land, travelling at sea or when they feed. Gannets dive underwater to catch fishes: they hit the water and swim chasing the targeted prey. 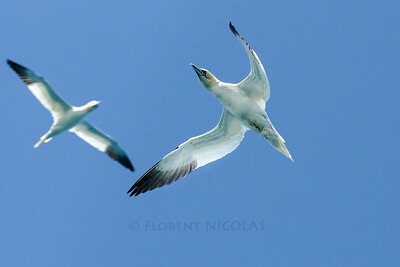 There are very few breeding sites of northern gannet in the Channel Sea. This unique seabird species and their habitat need protection. Dredging activities may have an important impact on the french breeding sites. 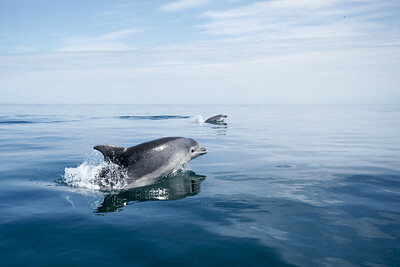 Special show of bottlenose dolphins in the Channel Sea, between UK and France. 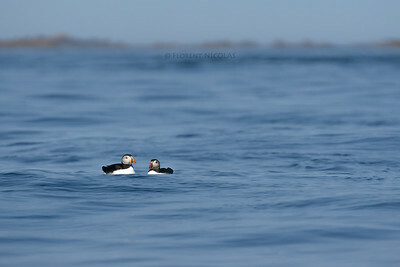 The last puffins in Metropolitan France? 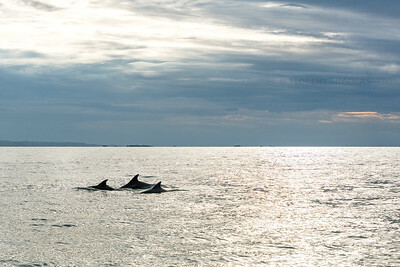 End of the day, a perfect calm evening with bottlenose dolphins. 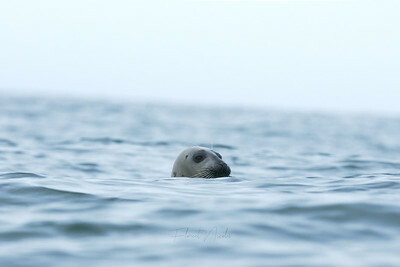 Grey seals having a rest... but the tide is coming up so soon it is time to go back in the water! A good old friend... I´ve met this one several times and hopefully the future will be positive for this coastal population! 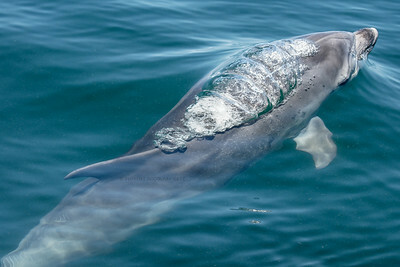 Bottlenose #dolphin in the Channel Sea, between England and France. 20 years ago, we did not know much about this population of resident bottlenose dolphins living along the coast of France. 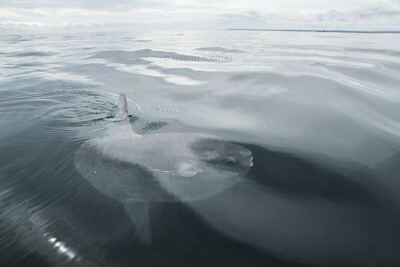 For the last years, our knowledge is growing up to protect them from different types of human activities. We hope for the best. The Raz Banchard between France (Normandy) and UK (Alderney) is the most powerful tidal current in Europe. Because of the strong currents and the weather, boaters are sometimes afraid of it. You have to choose the right time to go through it. 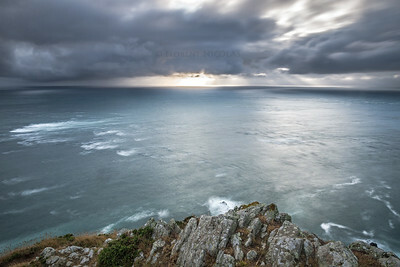 In only few seconds, the landscape can change dramatically from a sunny sunset to a very cloudy scenery. Only few nautical miles away from the "Raz Blanchard", one of the most strongest tidal currents of Europe. It is probably a big food resource for these animals. 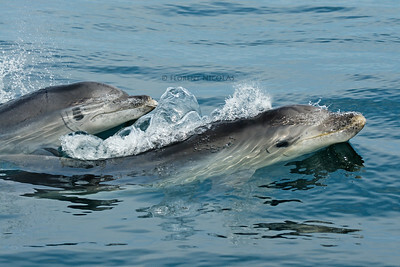 Bottlenose dolphins in good weather conditions, but it is not like this everyday for these dolphins. Strong winds are common in the area. Sharing these incredible moments at sea is something I love, and it´s even better and special when it´s with my parents (they have the same motivation than I have ;)). 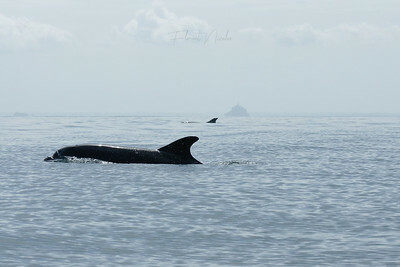 After fishing for a short period, dorsal fins could be seen on the horizon. 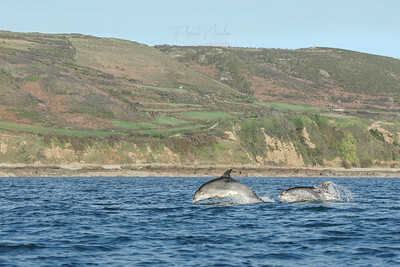 The monitoring of the bottlenose dolphins in the Channel Sea - which I have been involved for more than a decade - has always showed us that some resident groups were travelling through these waters. 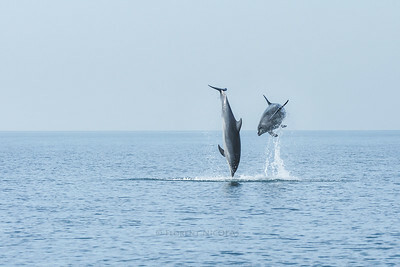 During the several tens of recreational trips at sea with my family, I could never stopped to scan the horizon hoping to catch one of this group. Last August, it finally happened: a group was less than 30 minutes of travel from our mooring. Thanks to the pictures of their dorsal fins, we now know that these dolphins are the resident ones from the Normano-Breton gulf population. An interesting sighting for the monitoring, knowledge and protection of this population. 52 meters in the Raz Blanchard. 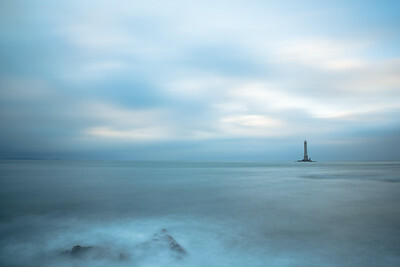 La Hague Lighthouse in France, right at the entrance of the Raz Blanchard, one of the most powerful tidal current in the world. 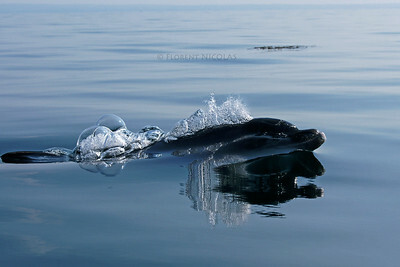 A young bottlenose dolphin is breaking the perfectly flat water line, creating "bubbles" along its back. 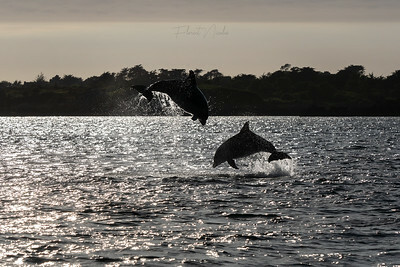 Bottlenose dolphins with the Mont-Saint-Michel, France.